Highlights of the Sky Bet League One match between Swindon and Chesterfield. 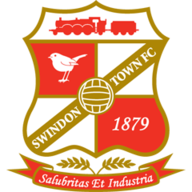 Yaser Kasim's first goal of the season snatched a late 1-0 win for Swindon - securing their Sky Bet League One spot for another year. Chesterfield's Jay O'Shea had a shot tipped over by Jake Kean early on and Lee Novak's close-range effort could not get the better of the on-loan Norwich keeper either. 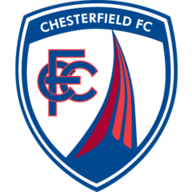 Chesterfield's Gary Liddle came to the rescue with 15 minutes played, blocking Nathan Thompson's drilled chance on the line before Michael Doughty saw his 20-yard thunderbolt pushed over the bar by Tommy Lee. The Robins came close again seven minutes after the restart, Doughty turning on the edge of the box and curling an effort that smashed off the foot of the post and away to safety. Jonathan Obika was left kicking himself after Doughty's shot from the edge of the box was spilled by Lee and the striker fired over from six yards out. Luke Williams' side confirmed their victory with 13 minutes left. A Doughty one-two set up Kasim, who curled the ball beyond Lee and into the bottom corner.